This Ministry Unit includes the worshipping community at St John (Cairns). Sunday: 7:00am St. John's (Cairns) - Holy Communion and joyful worship. 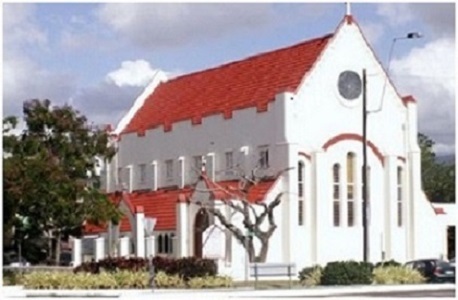 9:00am St. John's (Cairns) - Family Service, joyful worship with Holy Communion, includes Sunday School. Tuesday: 9:00am St. John's (Cairns) - Healing prayers and Holy Communion. Mainly Music in the Church Hall (Cairns), Monday 9:30am. Men's Group held in the offices of St. John's (Cairns), Monday 7:00pm. Bible Study held in Church Hall (Cairns), Wednesday 9:30am. Bible Study held in McIntyre's home (Redlynch), Wednesday 7:00pm. Craft with Anglicare in Church Hall (Cairns), 1st Wednesday at 11:30am.